Instagram, that big app filled with those little squares that somehow has been the driving force behind some of the world’s biggest brands. If you had told me seven years ago that an account I set up to share a picture of fancy (bloody expensive) cocktail would have turned into my main source of income I would have laughed in your face. Yet, those are facts! 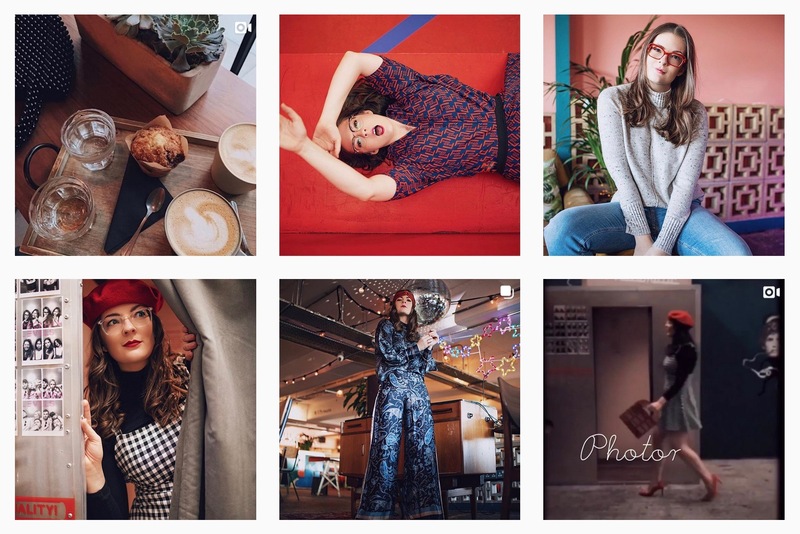 Although my blog will always be my pride and joy and yes I do work on some amazing projects, it’s Instagram that provides me with my – shall we say ‘bread and butter.’ It’s not as instant as Instagram once was, instead I spends hours upon hours planning, researching and seeking out locations. 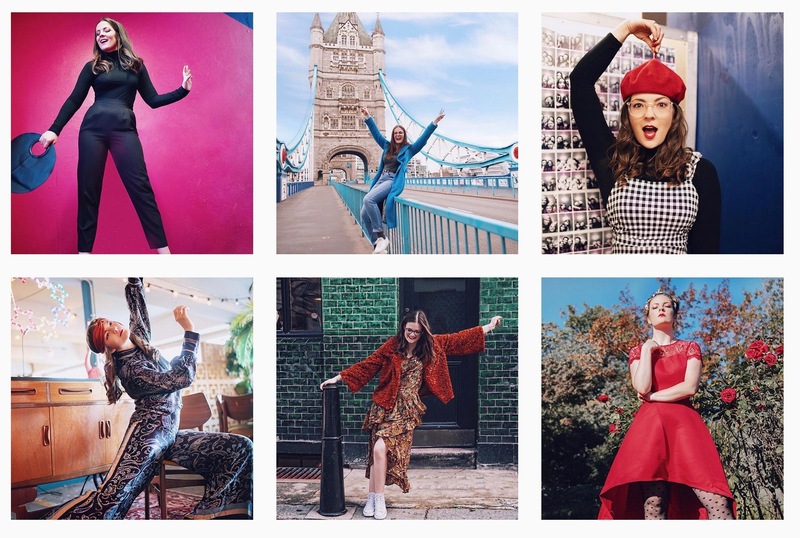 It’s not easy to stand out in such a saturated market and by gosh has the ‘influencer’ industry boomed since I first entered the scene all those years ago! Now it’s a constant struggle to make original content but when you do, when you find that little spark of uniqueness, you’re onto a winner. Now I know there are thousands and I really do mean thousands of Instagram guides out there, some being completes scams (do your research guys) and others being more legit but I thought I’d share a few tricks of the trade, a little run down shall we say of some of the things I do to boost my account and keep it steadily growing. Quick disclaimer: I’m not the inside-eye of Instagram, I’m just a mere mortal lending a helping hand to anyone who wishes to use their social platforms to either boost their business, share a message or simply grow there following and engagement to (fingers crossed) get more oppurtunities thrown their way. So let’s get started shall we, I’ve popped a few bullet points below. Some will work, some won’t. Instagram is a very individual platform depending on what you’re using it for so take what’s helpful to you and put it into action. Why want to fit in when you can stand out? Have something unique to you, your style, your interests – share away. Instagram has hundreds of millions of users, if you have something that could make your account different, use it! For me, I really lean into the fact I wear glasses and I have a huge collection of frames. I try and share a different pair in each photo and because of this I’m fortunate enough to now work with a lot of eyewear brands. I also love the theatre and as an actress as well, I try and do very characterised, theatrical pictures – again tying in another interest and hopefully setting me apart slightly from other accounts. If you’re into themes, there are soooo many. Some people do all black and white, others do super colourful rainbow like images. There’s an app caled UNUM where you can plot your posts before you upload them to make sure they look nice together and work with your colour theme etc. I’ve used this for years now and it’s made such a difference when trying to currate a visually appealing, cohesive feed. So this one sounds obvious as it’s essentially what Instagram is and what you’re supposed to use it for but you’d be suprised by the amount of people that just post and don’t interact with others. Try following accounts within your niche, for example if you’re an interior inspo account, search for others within the same genre and start engaging. Like their posts give them a follow. I always think leaving a nice genuine comment goes down well too, not just the bot-like ‘super cool’ or ‘yes girl’ comments, trust me…these get annoying and come across as spam. This helps to get your name out there and allows other interior accounts etc to discover you. Also as a general rule, if someone leaves a lovely comment on a post of yours, it’s just a nice gesture to reciprocate. Obviously this isn’t always doable depending on how many comments you get but it’s alway good to talk to your followers and fellow content creators to start building up a community. Whenever I post I usually spend around 30 minutes after it’s gone live, engaging and using the app, I find this often gets picked up by Instagram and they push the post out to more of my follows. Note: Sadly although just over 20k people follow me, Instagram doesn’t show everyone my posts (god-dam that algorithm) but by engaging my ‘reach’ (the amount of people who do see it) usually increases. 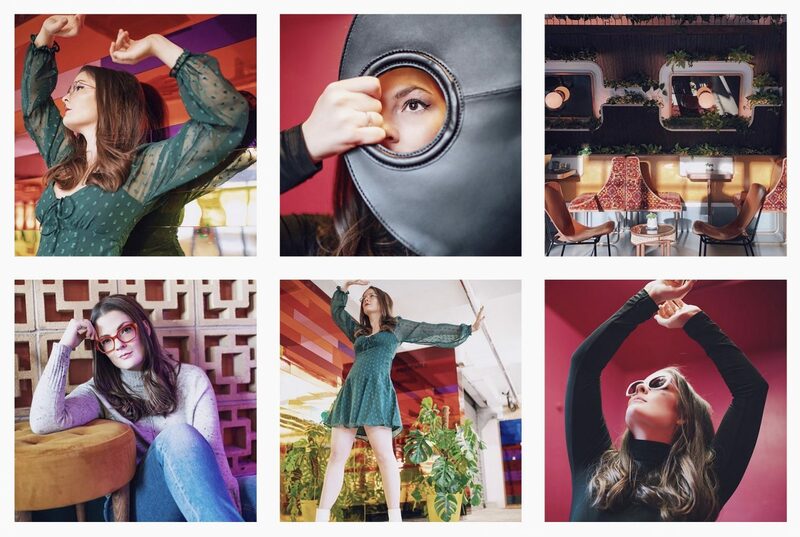 I have two main hashtags at the moment, the standard – #LittleMissWinney and then my #KateRecreates one for my themed shots. Again, It’s a great way to build a community and followers. Make sure whatever hashtag you create its unique and not already used, although some people sometimes decide to start using it randomly! My #KateRecreates is now sadly being used my someone else but hey ho, it happens. On Instagram you can now follow hashtags as well so it’s always a good little extra to think about and hopefully drive a bit more traffic your way. Maybe not straight away if you’re just starting to utilise and push your socail media platforms but if you have any items that correspond with your account ie: if you’re a beauty account you could giveaway some makeup/skincare products etc. Giveaways are always good for getting attention and gaining followers. Ask all your friends/family as well as all the people on other social platforms that follow you (facebook/twitter…) to follow your page and get them to share it if they can. It takes a village people! If you know people that have a large following or anyone who can give your account a shoutout on Instagram stories ie: Follow Friday that’s always good too. Recently we’ve seen the #CommunityOverCompetition go some-what viral with accounts from all over the world joining in and sharing eachother’s content. I took part for a day last week and gained just under 100 followers by simply sharing some Instagram L-O-V-E.
Everytime you post make sure to be proud of what you’re posting. The day’s of ‘filler content’ and content for contents sake are coming to an end (thank god.) Don’t feel the pressure to post every single day. Yes it’s good to have consistency but I’d rather see something of substance rather than a half-assed picture uploaded just for the sake of ‘sticking to schedule.’ Always tag any brand seen in the picture (in the hope that they’ll regram/share) and always geo-tag the picture. Instagram users often search by location so geo-tagging is super important and a great way to be seen by people not already following you. Caption wise, there’s no right or wrong, some prefer short and snappy, others get more personal and use it as more an online dairy. Whichever you use, make it interesting. Maybe end with a question so you can continue the converstaion with your followers in the comments? Have your personal hashtag along with any brand related ones in the caption, then other generic ones pop into a comment. This just makes it look neater so that the caption isn’t too cluttered. Be specific, the standard #ootd #london etc. often get lost in the crowd, use hashtags more specific to what you’re posting ie: #glassesbloggerlondon #towerbridgelondon. People love Intagram stories! It’s a bit more personal and ‘real’ than the staged/posed images on the main grid. It’s a great place to show a bit of personality and show your followers some behind the scenes action. Let them have a look at what your real, every day life looks like…people are noisy guys – that’s literally the basis of social media! Obviously always be sensible with what you share, remember once its shared it’s out there forever so always maintain some level of privacy. Carrying on from above, YOU are what makes your channel unique. People buy into you and your personality so share it! Be honest and relateable. Again, stories is the perfect place to have a casual chat (use captions when doing this becuase the high % of peeps don’t listen with sound) and just create a really friendly, supportive space. Sadly it is a vert competitive industry but in my opinion – there’s room for all of us so share the love and share some positivity. The internet can somethimes be a really horrible place, let’s try and change that yeah? So there you have it, a few of the basics, nothing mind blowing but I hope some of that helped. Let me know if you have any specific questions regarding apps that I use, editing, scheduling and so on. Most of all it just takes time to find your flow and grow but it’s so worth it! Thanks for stopping by, see you again soon. Awwh fabulous post girl! I always feel so pressured to stick to a schedule, but you’re so right about prioritizing quality over schedule! Some very good tips here!